Our little love story continued as we snuggled up in our new apartment in Kyoto under Blue Eyes’ favorite piece of furniture, the denki kotatsu: a low heated table, about the height of a coffee table with a blanket over the base and a hard wood surface placed on top. It was a particularly cold and snowy January in 1987. We sat with our legs and feet beneath the table under the blanket and the hard, flat table surface was great for eating or writing or whatever. With no centralized heat, one little portable propane heater, and Blue Eyes’ serious circulation issues, his feet were always cold. When he was home and awake, he lived under that little table and blanket and he still talks about it. Our apartment was three small rooms and an airplane-sized bathroom. We had a small balcony with a little washing machine. We hung our clothes to dry. The living area and bedroom were separated by wood sliding doors with french style windows. For privacy, the panes on the french doors were filled with plastic privacy “glass” that shook and made noise like crazy during the earthquakes that happened while we lived in Kyoto. The first time I heard the shaking of the panes, in the middle of the night, I thought it was the neighbors having a particularly athletic middle of the night romp, but as I woke up more fully, I realized it was a full fledged earthquake with shaking building and everything. Japan experiences a lot of earthquakes. We also purchased a small dining table and two chairs all with a cherrywood style finish for the kitchen, dishes enough for two, plus a dorm-sized refrigerator, a toaster oven, and what I would call a camping cookstove with two propane burners. The kitchen was small yet mostly functional. I really missed having a real oven. I burned myself numerous times on the broiling element of the camp stove. Our bedroom was traditional tatami mat style. We had purchased two futons, which we pushed together and made up as a double bed. We found real pillows, not the old style Japanese ones filled with buckwheat. No offense Japanese or other people who love buckwheat pillows, I find them incredibly uncomfortable. We found all these little treasures and more at the local department store named Izumiya, which was a short walk from the apartment. The store was at least two stories and included a bedding and furniture department, housewares, clothing, plus a grocery store and little food stalls around the perimeter. We often stopped for a delicious ice cream cone. The ladies who worked there were the sweetest. They adored me, but seemed a bit afraid of Blue Eyes… he would order in Japanese and they would have this blank look on their faces. Then I would politely order the ice cream cones and they smiled and smiled and giggled and made up the cones right away. The same thing actually would happen at other shops in the area. Foreigners were very rare and I guess there is just something more intimidating about foreign men. I had no troubles communicating. The train station was very convenient to our apartment, which made traveling all over the area for my job nice and easy. Also, under the train station was a pet store and in the window they almost always had a litter of Himalayan Persian kittens. I fell in love. I wanted one of those kittens so badly, but what would I do with it when I left for home? The first thing Blue Eyes’ did for our first Valentine’s day together back in the states was purchase me a Seal Point Himalayan. While in Japan, I was constantly reminded that I was a foreigner, and often that would happen at the train stations or on the trains. One evening, heading home from class, exhausted and half asleep, a group of girls in high school uniforms boarded my train car. They looked at me, and giggled, of course, and then broke out into “The Sound of Music.” They serenaded me until they exited the train, about six stops later. It was very sweet. Often I was followed off the train by drunk Japanese businessmen on their way home. I would exit the train and start walking towards our apartment and they would follow about 10 yards behind, mumbling incoherently. I would turn around, shake my finger at them and say “no,” and they would turn around and head back to the train station. One day while reading a book sitting on a bench at the station waiting for my train, a grandmother and her granddaughter approached me. I looked up just as they both started stroking my hair. I pulled back a little and they retreated. I honestly felt like an animal in a zoo. We were in a relatively rural area, but seriously. Being a foreigner living in Japan was an interesting experience. Winter quickly turned to spring, one of my favorite times of year even when I am not surrounded by gorgeous cherry blossoms everywhere. Kyoto in Spring is magnificent. Blue Eyes had to be up early on weekdays to catch the trains to his company, he worked long days, and they often had drinking/eating parties after work. I worked part time teaching. Since my pupils were mostly high school and college students and businessmen, they often were only available late afternoons and evenings. Blue Eyes and I still didn’t have much time together, but we did share many meals and nights, and most weekends we spent sightseeing once I could drag Blue Eyes out of bed. They say you cannot catch up on sleep, but I am not so sure about that. If Blue Eyes hadn’t been able to sleep on the weekends, I am not sure he would have survived the whole Japan experience. My mornings were spent exploring and taking classes. I took Japanese language classes, Sumi-e painting at the cultural center, as well as Ikebana, Japanese flower arranging nearby our apartment. 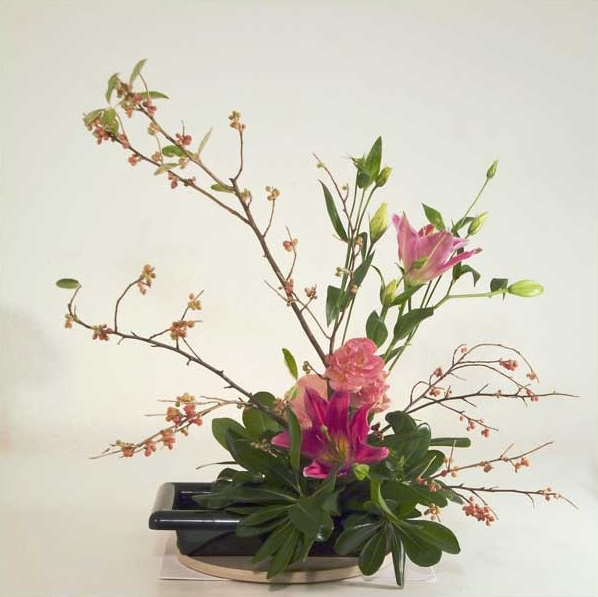 I could walk to my Ikebana class, which was taught by a sweet Japanese lady whose English was impeccable. I would often stop at my favorite Kissaten (cafe) for a bento, either a tuna special, or a yakiniku teishoku (teriyaki grilled meat meal set). I kept a book with pictures of all my flower arrangements as well as the names of the flowers in English, Romaji (Japanese names written in English characters) and Kanji. There were about eight of us in the flower arranging class, none of the others were American. One of the students was a particularly unhappy Swedish girl who seemed to dislike me for no reason. I was kind of sad about this because my mother’s family is from Sweden, my grandmother was first generation American. I really wanted to be friends with this Swedish girl and talk with her about her country and her culture, but she would have none of me. At one point I was talking with the instructor about Mother’s Day. Our arrangement for the day had included a Chrysanthemum. I told her we often shortened them to the name “mum” and they were popular around mother’s day in the states. The Swedish girl became visibly angry and shouted out, “why do you Americans think you own everything!” “Mother’s day was invented in Sweden.” It was such a strange outburst. I never even checked to see if she was correct. I guess it didn’t really matter to me as what I was saying was the truth, regardless of who “invented” what holiday. One spring afternoon while I was at a Baskin-Robbins on Shijo-dori (street) eating an ice cream cone (normally I would just walk around with my ice cream cone in America, but in Japan, walking and eating are not okay), a high school aged girl approached me. Her name was Meiko. She had the sweetest smile and asked if she could sit with me. I welcomed her company as most days I was completely alone. She said she was from Osaka, but taking some classes in Kyoto and she was soon to take her high school English exams, which would help her with college entrance. She desperately needed practice with her spoken English. She wanted to strike a deal with me. If I would help her with her English, she would be my tour guide. We could visit famous landmarks, whatever I wanted, castles, shrines, parks, buildings, anything and she would give me the history in English. I jumped at the chance. Blue Eyes and I had been to quite a few sights during our weekends together, but there were so many left to see. I had come to the conclusion that my time in Japan was going to need to come to an end sometime during the summer as I really wanted to get back home and finish my undergraduate schooling. I had committed to completing my degree and I didn’t want to prolong it any further. It was a promise I had made to myself. I excitedly agreed to Meiko’s kind offer and for the next approximately 12 weeks, Meiko and I met up once a week for an excursion. 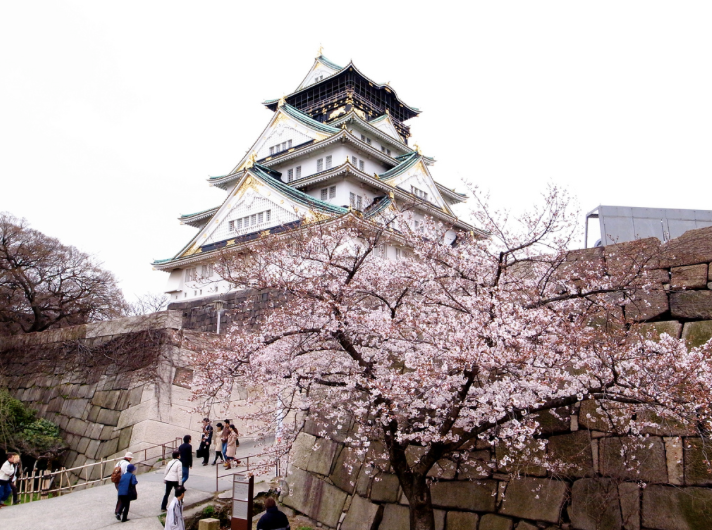 The first place she took me was Osaka Castle, which was very near her home. There are literally hundreds of spectacular sights to see in the Kansai area of Japan. We focused on the quick and easily accessible areas of Kobe, Osaka, and Kyoto. We mostly visited castles, shrines and parks. I cannot describe how wonderful the experience was. In the end, Meiko scored very high on her exams. She was thrilled and went off to University before I left Japan. I am still sad we eventually lost touch. I don’t remember her last name so I cannot even look her up. I am really pleased I ended up being in Kyoto during Hanami, cherry blossom viewing. Nearly every day of the season we ended up out at a park for a meal with friends. I had made some friends at Japanese school and Blue Eyes and I ended meeting up with some of them, plus Blue Eyes had lots of new friends through his company and his own Japanese language class, which was much more advanced than mine. My birthday is in May, and by May I was starting to get particularly antsy. I was planning to be back at college by Fall term (I am still lamenting the fact that I did not stay long enough to experience the fall leaves in Japan. I plan to rectify that this November, with a trip to Tokyo and Kyoto). I tried to explain to Blue Eyes that although I felt like Japan was a very worthwhile adventure, it was going to be time for me to move on sometime during the summer. I had never intended to live in Japan. I had come to Japan to be with Blue Eyes, to make sure what we had was really something I wanted long term, and Japan had seemed like a fun distraction at the time. Even before Blue Eyes had left for Japan, I had vehemently expressed my concern for our relationship under the circumstances. He was choosing what his parents had planned for him, what his parents wanted him to do, not what we wanted to do or what we discussed would probably be best for us as a couple. I understood that our relationship was still young and that Blue Eyes’ parents had a strong hold over him. I knew he had felt like Japan was an obligation, a promise his father had made, and that he wasn’t really that keen on law school either. As much as all that mattered to me, what really mattered was what I wanted for myself. Although I felt in my bones like Blue Eyes was shaping his entire life out of what his parents wanted and expected, I had no idea if that were really the case or just something he really wanted me to believe because the plans that existed before me were not really conducive to our coupleship. I had to keep moving forward, for myself. We talked a lot about my leaving Japan. Many of the discussions were very stressful for both of us. I do believe there was even a point where I threw something in the heat of anger. I threw a plate against the wall and it broke into numerous pieces. I honestly think Blue Eyes still believes I threw that plate at him? Well, I can assure you, if I had meant to hit him with that plate, I would have! All that anxiety and anger is how I knew something wasn’t right for me. Blue Eyes was devastated at the thought of me leaving. The strangest thing that had happened since I had been in Japan, was that Blue Eyes’ parents had seemingly done an about face. They had decided, for some reason, that now that I was in Japan (something they had never wanted to see happen), that now I needed to stay in Japan. I think they instinctively knew that if I left Japan, Blue Eyes would be close behind and for some reason they wanted him there. Well, all I could do was what I needed to do for me. Whatever impact that had on Blue Eyes and his selfish, spoiled, arrogant parents, was not my concern. He still had a job. He even had a company dorm he could go back to if he didn’t want to be alone in the apartment. I started receiving phone calls at the apartment from Blue Eyes’ parents. At first they demanded I stay. What a silly, spoiled girl I was for going all the way to Japan and “forcing” Blue Eyes to set up an apartment for “me” and now here I was ruining everything. I had to stay. Then their tactic was bribery. They offered to pay me to stay. They offered to send me money and cover all my class expenses in Japan, to cover our rent, they said I didn’t have to work if I didn’t want to. I loved my job teaching English. They just never got me or anything about me. They never cared. We continued to enjoy Japan and over the Golden Week holiday (the first week of May), we traveled to Tokyo to visit a friend of Blue Eyes’. We did some sightseeing and I was scolded for taking flash pictures of a panda bear at the Ueno Park Zoo. I actually did NOT take a flash picture (there were signs forbidding it EVERYWHERE)… honestly, it was the Japanese guy next to me. Unfortunately, when you stand out like a sore thumb, they don’t really care. The security guard actually made me leave the area, after we had been standing in line for nearly two hours. If I had had a plate with me, I might have thrown it at him. 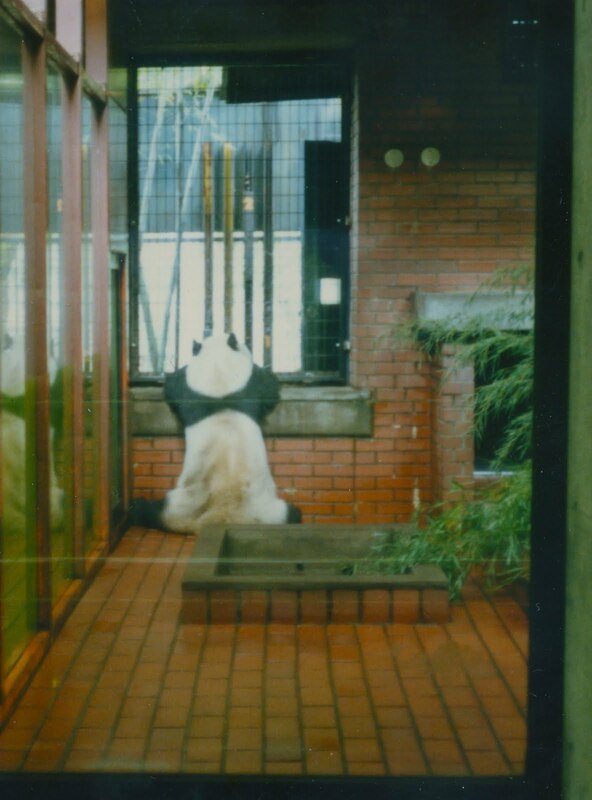 I did get a picture (NOT FLASH) of that panda though. Poor thing. Blue Eyes went all out for my birthday. He took me to this wonderful, romantic restaurant in Kyoto. They played Ella Fitzgerald throughout dinner and the food was amazing. He had purchased me some lovely clothes, two beautiful blue dresses, my favorite color. I was so shocked that he had been able to purchase me clothes, in Japan, that fit me, and surprised me to boot! We went back to the apartment where he had a birthday cake waiting. Boy do I love a good birthday cake. The thing about pastries in Japan, is that they are not like American desserts. Over the years, I have learned to appreciate them more, but at 24 years old, and homesick, I wanted a thick, rich, sweet chocolate cake. Blue Eyes cut me a slice and my expectations were just too high. The cake was a basic bland sponge with a bland frosting and although it was beautifully decorated, it was a bust for me. He could see my disappointment. Well, it was just cake, and even if the cake had been perfect, it wasn’t going to be enough to keep me in Japan. I’m pretty sure he knew that all along. In the end, I left Japan at the end of July. That gave me just enough time to get settled in back home before fall classes began. All my credits transferred to the university near my house back home with my mother and step father. I could still graduate on time. I had four terms to go. Blue Eyes stayed in Japan, gave up the apartment, gave away anything I had not been able to pack and take home with me, and moved back into the company dorm. I don’t regret going to Japan. I don’t regret Blue Eyes’ getting us that apartment. I don’t regret going back home to finish my degree. There was an ultimatum involved. If Blue Eyes’ did not return to the states by the end of 1987, I felt like we should call off the engagement. I couldn’t imagine staying engaged if one of us wasn’t able to make a full commitment to the relationship, regardless of where in the world we lived, and do what was best for us as a couple. I was really not forcing him to make a decision between me and Japan because in all truth, Japan was not his dream. I was forcing him to make a decision between me, and his parents. At this point we had been dating for nearly three years and engaged for two. It would be a much tougher decision for him than it should have been. BIG RED FLAG! Wow so weird I wrote a big comment and it disappeared. I love reading about Japan. It’s a place I’ll probably never get to visit, but I adore learning about Japanese culture. My fav book ever is memoirs of a geisha, have you red it? Meiko is actually the name they use to call apprentice geishas. I sent u the above link to a Japanese sweet store I always used to pass in London. Everything was so beautiful and mysterious to me. I remember there was a sweet that looked like a big peach. I had I idea what it was, but they were little works of art. 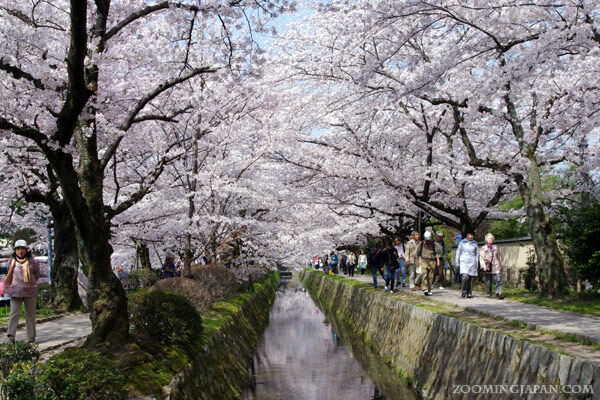 Your time in Japan sounds like the most amazing adventure. Love reading the back story of your relationship. Japan sounds like an adventure!